This morning I took the opportunity to swing by my friends business he has with his business partner. They are J & S Signs of Portland. 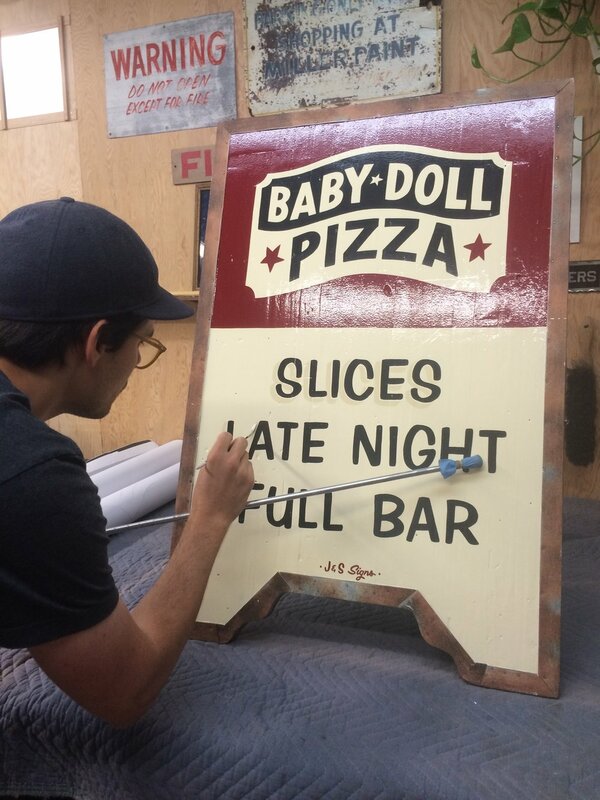 I have been really interested in sign painting and I wanted to say Hi, and also see what their studio is like. It was a nice visit and they were generous with their time and information. It was cool to see them in action for a little bit, and they even let me mess around on a sample board. I pressed on and drove back to the northeast tip of the Oregon coast. I wanted to check out Cannon Beach and Astoria. Cannon Beach was cute, but it was a gorgeous Friday afternoon and it was busy with visitors. I had seen this environment before, it’s a upscale beach town at the beginning of a weekend. It was the Hamptons of the west. I moved on to Astoria, and after having the best crab melt sandwich, I headed north towards Seattle. There was no “Welcome to Washington” sign upon my entrance, only a small “entering Washington State” that was barely noticeable. But I made it to Washington State. In Seattle, I was to have one more Renegade show and to spend sometime with my cousin. This evening he built a fire in his backyard and we talked until late night. I had a good visit with him.